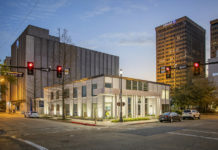 The proposed Mid City project known as Square 46 took a major step toward realization last month. Fairfield Capital sold an entire city block on Government Street to Joshua Hoffpauir, the architect developing the site. The sale closed on Nov. 21 for $750,000, or about $15.92 per square foot. The 49,200-square-foot barren block once occupied by Giamanco’s restaurant fronts on Government, Mouton and Moore streets. The seller was represented by Wade Green and Ben Stalter with Maestri-Murrell Real Estate; the purchaser, by Brandon Rogillio of Rogillio Real Estate. 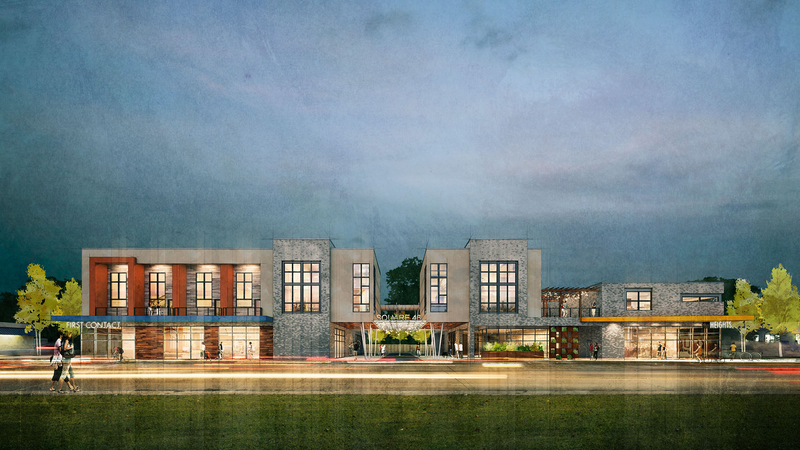 The property will be improved with a 25,000-square-foot mixed-use development with retail, office and restaurant establishments and up to 15 high-density residential units. A 2,000-square-foot space is designated for a breakfast/coffee shop; another 3,500-square-foot space is set aside for a restaurant. The sale represents an increase in property values. Fairfield Capital purchased the property in 2007 for $675,000 before selling it to Square 46. No pricing has been set for the proposed space. The project is expected to come online sometime in early 2016. Two sales of industrial use properties of note have taken place recently. The first is the Nov. 14 sale of an office warehouse at 5227 North River Road in Port Allen for $330,000, or $29.50 per square foot. 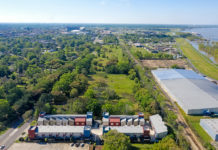 The purchase included a 2.74-acre tract improved with a 4,235-square-foot building. The seller was Admiral Investments, represented by Mike DiVicenti and Marc Barker. The purchaser was BlackJack Interest, represented by Ken Miller and Tracy Byas. BlackJack is affiliated with Oil Gator International, which will occupy the building after some minor renovations, according to Branden Barker with NAI/Latter & Blum Commercial Real Estate, who brokered the transaction. The second sale of note is the sale of a 1.38-acre site on Ashland Road in Gonzales that sold for $280,000, or about $4.66 per square foot. The purchaser was Southwold, represented by Andrew Clark and Scot Guidry at Mike Falgoust Commercial Real Estate. The seller was Superstar Investments, represented by Mike Stinson with Saurage Rotenberg Real Estate. The new owner intends to build an office warehouse facility on the site, which it will occupy.